Wix or WordPress? Which is the best platform, for your business? Today we will share our thoughts on which platform we think is best for your business’s web presence Wix or WordPress. We will cover costs, ease of use, and scalability. For ease of use, WIX is great, allowing anyone to design on screen the layout and feel of their new website. You have probably seen the adverts! Drag and drop, change fonts and colours, thus allowing you to quickly create a presence you could be proud of. Please don’t take this the wrong way, but this does not mean it will look any good. We are not all web designers. Although we may think we are! For us, this is the best feature Wix offers, everything else is a questionable. Is Wix free or not free? Well, yes and no. Depending on the features you require. If you are creating a web presence for your business, the free plan does have drawbacks (rather large ones). Your domain name will essentially be a subdomain. So for example; Yourbusinessname.wixsite.com. This is terrible for SEO. Finding your website in the search results will be almost impossible. Wix ads will appear all over the place. On all pages. Take possible customers away from your services. You may as well not have a website? They also have a Wix favicon, which you can’t remove unless you upgrade. This feature is not available on the free plan. You will need to upgrade to the Business Premium Plan. You are limited to 500mb of storage and 500mb of bandwidth. So to finish up on the Wix solution, our thoughts are that we wouldn’t recommend using the Wix platform for a business web presence, as the con’s far out way the pro’s. Furthermore, we can’t understand why a monthly fee is applicable. If they said “Purchase a hosting plan and you will get all these features” then yes this would be understandable. Why pay £3 pm to be able to use your own domain name? baffled. Also what about your online marketing strategies? Ask yourself, how does this all tie in with the Wix platform. An important factor to consider. We could just create a blog post all about WordPress, with regards usability. The options available are almost endless. WordPress utilises themes you can use free themes or premium themes. Different themes come with different options and also different ways in which to create your website. Some themes have a drag & drop feature, making it easy to create layouts etc. We would say that the learning curve compared to Wix is a little steeper. But once you get the hang of it it is simple to use. Is WordPress free or not free? WordPress is an open source CMS which is free to download from WordPress.org and then installed on your hosting account, although you will find that most hosting accounts allow you to install WordPress straight from the hosting dashboard through a 1 click installer. Installing WordPress is free but to get WordPress to look and function the way you would like may not be. WordPress comes with its own standard themes named after the year the theme was created: Twenty Twelve, Twenty Sixteen Twenty Seventeen etc. Some of these themes are quite simple and do not grab much attention. WordPress also includes a theme installer where you can browse free themes and simply install them ready to utilise. although there are some pretty nice themes available for free they can have some drawbacks like lack of support with the theme or you are required to link back to the themes developers website so you are allowed to use the theme. In our experience paid premium themes are the way to go with WordPress. They are fully supported, security updates are regularly available, well coded and usually user-friendly. Prices for premium themes start from £35. The functionality of WordPress straight out of the box are limited. This does not mean it is not possible to add more functionality. 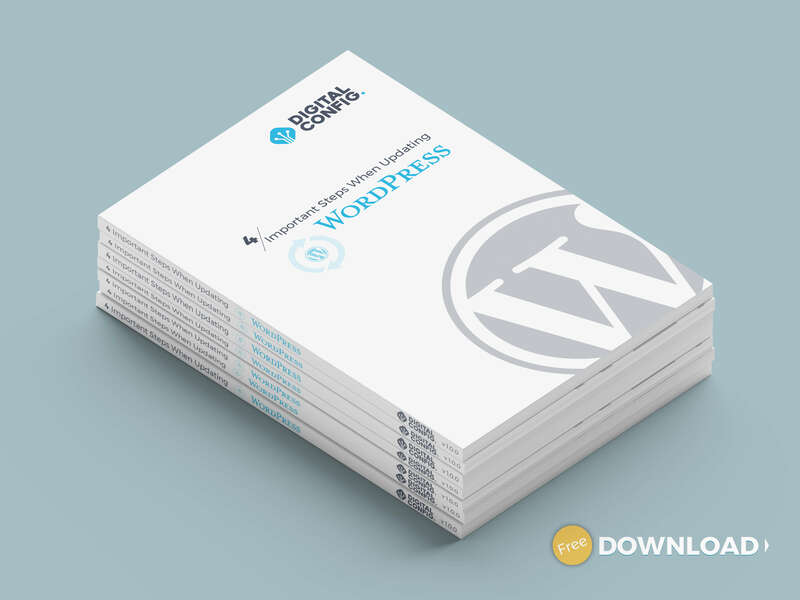 WordPress is responsible for around 31% of websites online today, these websites all range in functionality form blogs, forums, online shops, classified ads sites and more. There are hundreds if not thousands of add-ons/plugins for WordPress allowing you to add extra functionality to your WordPress website. We are pretty sure if you would like your website to function in a certain way then a WordPress plugin will be about. Plugins can range in price some are free some you will pay for only once and some you will require to purchase a license yearly to make use of the plugin updates. When you first use WordPress it can be quite overwhelming if you have no previous website editing experience. But as mentioned before once you get the hang of it, you should be up and running in no time. WordPress has a huge community. Novices just like you through to developers. This community will aid you if needed. Our final thoughts on Wix or WordPress, simply put, we would recommend using WordPress. It may take a little more time, but the outcome will be much more professional for your business. You can tailor it to work with any marketing strategies. This entry was posted in Latest News, Tips and tagged #website, Content, Marketing, Professional web designer, Top SEO Company - Liverpool, Top Webdesign - Liverpool, web, web designer, Website Design.